In 2010, the Deadstring Brothers founder and frontman Kurt Marschke reversed the great Southern Migration, de-camped from his hometown and moved to Nashville. And while you can never, ever take all the Detroit out of a Detroiter, this Deadstring album throws the doors open wide to an even broader sound, his new home clearly influencing the lyrics and style. Cannery Row has a loose-limbed melancholy reminiscent of the Laurel Canyon folk scene, the outlaw Nashville days, as well as the Upstate New York counterculture spirit of the Band. Like a hitchhiker with a dirty backpack, a beat up guitar case and a wistful distant smile, the Brothers have piled up stories like the highway miles and created something pretty damn close to that old Gram Parsons dream of Cosmic American Music. In the spring 2012, Kurt and old friend and fellow Detroiter, bassist JD Mack (formerly of Whitey Morgan & the 78s), started planning new tours, seeking out other members and making a plan for the new record. The stellar cast they recruited carries some hefty resumes: Brad Pemberton (Ryan Adams & the Cardinals) on drums, Mike Webb (Poco) on organ, piano and mandolin, Pete Finney (Dixie Chicks, Hank Jr.) on steel and dobro, Kim Collins (Smoking Flowers) on backing vocals and Mickey Raphael (Willie Nelson’slongtime harp player). At times mellow, breezy, joyous and longing, Cannery Row treads the rich waters brewing between heavy country, singer/songwriter elegance and the classic rock that runs through our collective DNA. The music roams far and free. The swirling pedal steel and sitting–in-the-back-of-the-pocket drums evokes smoky fires and west coast stoner sunsets in “Like a California Wildfire.” “The Mansion” soars beyond the Nashville skyline with enough polish to turn the heads on Music Row, but enough soul to hit the storied stages of lower Broadway. “It’s Morning Irene” brims with the romance and possibilities of riding the rails,singing the dust bowl gospel and waking up in the church of the outdoors. The stellar keyboards anchor a range of moods from the elegiac title track to the muscular, ride-with-the-top-down “Long Lonely Road.” And while “Just A Deck of Cards” conjures the contemplative open spaces of the southwest, “Lucille’s Honky Tonk” fires with Hank Sr.’s lanky jitter. 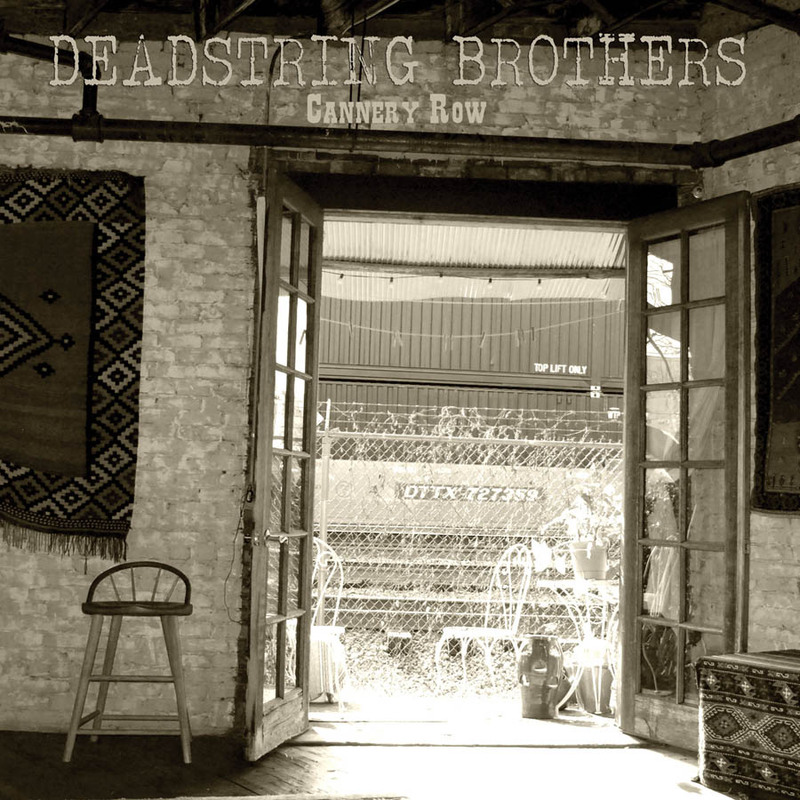 The album artwork includes photographs from an out-of-use train loading dock below Marschke’s loft home located on Nashville, TN’s actual Cannery Row. The group’s fondness for the simple charms of Mississippi John Hurt, Willie Nelson and The Kinks shines through on its newest release. Cannery Row, mines an acoustic-based sound that holds the laidback air of the Great West. The whine of the pedal steel and harmonica couple with roadhouse piano and soothing organ lines to create a sepia, dusty vibe. Truth be told, there isn’t a bad song among the 11 making this an essential purchase for fans and newcomers alike. Their most varied, and rewarding album to date…offering tunes that span the spectrum between strum-driven Americana, to an ample dose of classic rock hooks, to tried and true singer-songwriter woven narratives. Detroit's finest Americana combo stretches winning streak to five LPs...an embarrassment of riches. Cannery Row mixes the band's Motor City roots with analog Americana, retro twang and a healthy obsession with Southern California's country-rock glory days.